Once or twice a week, I walk my dog around the block to give him some exercise and a chance to explore outside the confines of our backyard. We tend to walk the same route each time—across a couple of intersections, past some shops, and through the local park and bushland. I intentionally leave my phone at home and take nothing but his lead and a couple of bags for disposing of his business. One particular issue I’m discovering with this routine is that, by the time he decides that it’s “time to go,” I’ve run out of room in the bags—because they are overflowing with litter I’ve collected along the way. The other thing I’ve noticed is that it is the same rubbish I am picking up each time, from exactly the same locations. Grrr. The perpetrators are as routine in their littering as I am in my retrieval of their litter. Plastic milk carton at the corner, beer cans in the creek, bread roll wrapper in the garden at the park—the list goes on. All of this makes my efforts seem rather despondent and redundant. How can I be making a difference if the litter is just getting replaced by more litter, day in and day out? Should I just give up and go back to feeling helpless in my quest to save the environment? It is for these and the myriad other daily questions and pleas by earth-conscious human beings around the globe that Cheryl Leutjen penned her gem of a book Love Earth Now. She claims to simply be an Earth-loving citizen “fumbling along the path of more conscientious living,” which is perhaps why we can all relate to her so much. She sings from the same hymn book as an everyday human being trying to make a difference in this world. Similar to Erin Walls, she is just trying to do her best for the environment (one straw at a time!). Offering up a series of “roadmaps” and “Love Earth Invitations” at the end of each chapter, Love Earth Now encourages us to discover our own path to living more “Earth-conscientiously” and realize that we do, in fact, have the time, talents, and resources to care for our planet (as hopeless as that prospect may seem at times). These are described in the book as a recipe card of sorts for her own personal use. However, I feel that their meaning can extend to all of us seeking to find balance and harmony in our attempts to do our best for the environment. Leutjen invites us to give space to those “gut-wrenching feelings” that sometimes seem too painful to deal with. She urges us to “speak aloud” for the sadness and incriminating acts of injustice and to just be with our emotions on these issues. The example she gives in the book is how she felt when hearing about critically endangered wolves being baited and then shot. My own personal, recent version of feeling into feelings was hearing about the treatment of live sheep exports leaving Australia and the horrific conditions they were subjected to at the hands of those responsible in the international meat and livestock industry. And don’t even get me started on the video footage. The second tip Leutjen offers is to take in our immediate surroundings and engage with “anything that commands attention right now.” We should employ the “curiosity of a toddler.” She reminds us to remember that we are here and now, in this present moment. Leutjen suggests using point two to ask the earth for guidance on the object of our attention in the present, releasing expectations of an immediate response and being open to all kinds of answers! This is my favorite tip, because it reminds us that being eco-conscious and eco-conscientious is a team effort, buoyed by the efforts of many like-minded beings. Leutjen encourages us to actively and publicly thank (“flood with gratitude”) all of those beings who honor the calling of their soul (think environmental scientists, ecologists, activists, volunteers, teachers, doctors, marine biologists, students, national parks employees, endangered species experts), and especially those who never make it to the news headlines. If I rewind back to my dog walking example described earlier, this would mean extending gratitude to those responsible for regularly littering those plastic milk cartons, beer cans, plastic bags, and McDonald’s cups and straws. Without them, I may not have reached out to Leutjen’s book when I did, nor wrote this article highlighting and sharing these key messages. Leutjen suggests giving our issues some air by focusing on breathing techniques. She reminds us that breathing costs nothing, and offers three distinctive types for certain emotions: rapid breath of fire to burn up anguish, alternate nostril breathing for balance, and curled tongue to cool down. She cites her own personal favorite as “screaming” and “making some noise,” to emotionally cleanse our feelings toward certain eco-travesties. A good example I have of needing to let go of something was how fired up I became when I turned up at one of my favorite mediation spots, only to find it had been vandalized with so much graffiti I couldn’t even see the rock I was sitting on! I was so furious that I took photos, reported it to authorities, and ranted about it on social media. It helped a lot! Leutjen suggests bringing to mind someone or something that we love and allowing all of this love to fill our awareness. Feel the warmth of that person, place, or experience, and let it be the lens through which you see and experience your world. This point can be a reminder that making decisions from a place of love, rather than guilt or anger, can expand our contributions to this world in an exponential way. Her final tip is a great one that many of us can likely relate to. “Exiting the cave” can mean removing ourselves from the comfort of our home (or office), or even simply looking up from our phone and being in the world—truly engaging in the world and making an active and conscious contribution to live mindfully and with purpose. So, while most of us can’t stop the arctic ice pack from melting, we can use Leutjen’s seven suggestions to live more peacefully with ourselves and our environment, connecting with nature and being mindful of our actions and interactions with others. We don’t need to force ourselves to stifle our feelings. 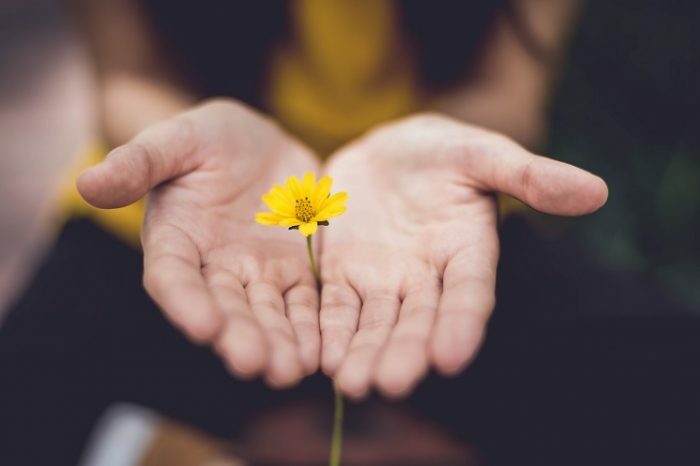 Instead, we can choose to let our emotions out, to reset our compass with loving intentions, to remember to breathe, and to pick up trash from the side of the road—even if we weren’t responsible for putting it there. 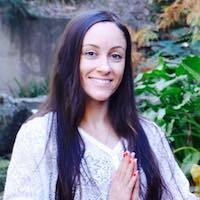 Tehla Bower is a yoga teacher, writer, and mother of two from the east coast of Australia. She offers yoga retreats, courses, and classes and runs a blog. She feels most at home when surrounded by her family and a mountain of books, soaking up the sun, or meditating on her favorite rock at the beach. Staying true to herself is her only nonnegotiable, and she lets the universe take care of the rest.